Crypto analyst and investor, Joseph Young, took to Twitter to point out that Google trends data shows that the excitement for Bitcoin is finding its way back to the broader markets. 'Looks like some people are interested in Bitcoin', the crypto trader tweeted. According to data from Google Trends, Bitcoin searches spiked at around 6:44 PM this evening, with Nigeria as the region featuring the most searches while South Africa comes in second. The Netherlands, St Helena and Austria make up the rest of the top five. While Google Trends does not provide exact number of searches, it is clear in the image below, that the amount of worldwide Bitcoin searches reached 75% of what it was one year ago. So the recent and unexpected price surge in Bitcoin has people excited worldwide. Another popular Twitter cryptocurrency enthusiast, going by the Twitter handle EmpyBeerBottle, seems to agree with Joseph Young and takes it one step further by saying that Bitcoin will go parabolic next month. 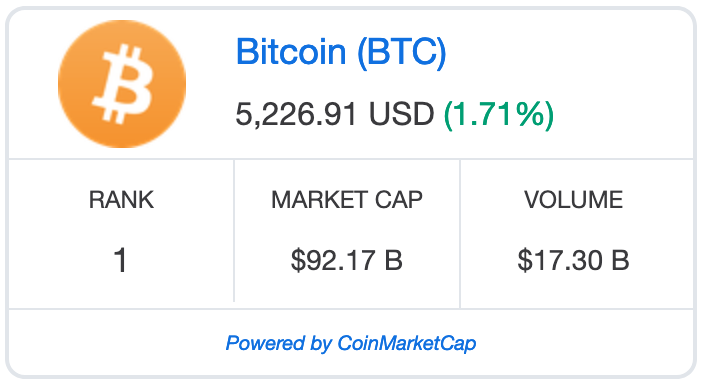 Bitcoin is currently trading around $5,226 and is showing a 1.71% growth on yesterday’s prices. Bitcoin's intraday low stands at $5,106.55. Do you think Google Trends could be a useful tool for price predictions? Raise of interest towards crypto is really inspiring. Bitfinex and other exchanges should quickly make something to get newcomers into this market.